Adele Soll Aronson is a self=taught artist born in Chicago, Il. and being an only child of divorced parents had a sad and unstble childhood. Attending 5 grammar schools and various orphanages and foster homes, she finally, as an adult married, had 2 sons, attended the school of Chicago Art Institute and American Academy of Art and now is an award-winning artist. 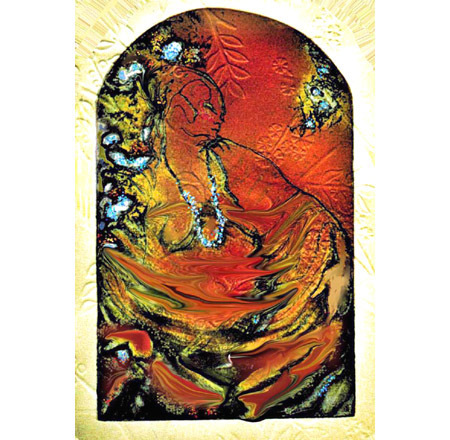 The five images are original color viscosity intaglio etchings from copper or zinc plates drypoints and collagraphs depicting psychological, spiritual and emotional power. They blend colorful and precise realism with semi-abstract expressionism. 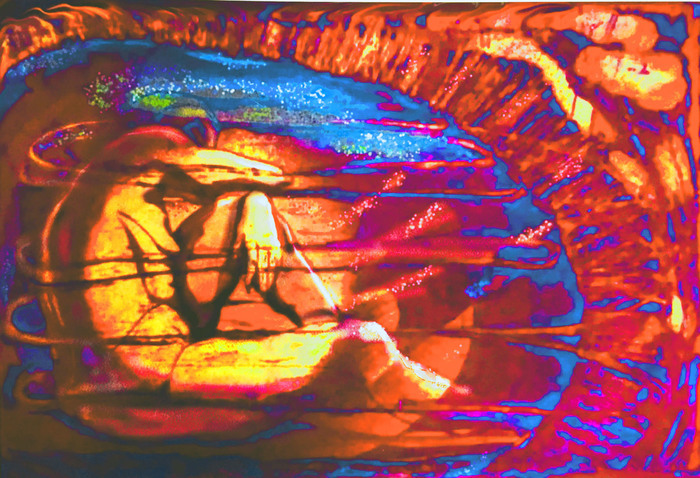 "ETHEREAL SPACE" is a viscosity-colored etching, size 20x26", done on one zinc plate. 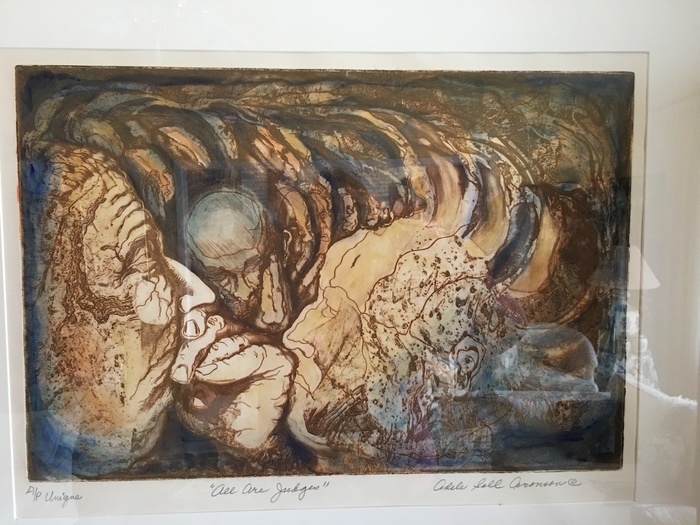 "...in the eye of the beholder" is an embossed viscosity-colored etching size 20x22" done on a zinc plate. 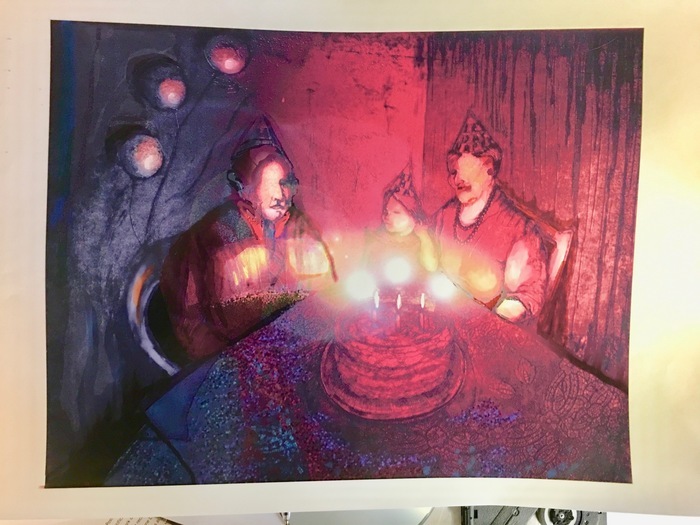 "THE PARTY" is a viscosity colored etching, size 23x26" done on one zinc plate, depicting a somewhat macbre scene. 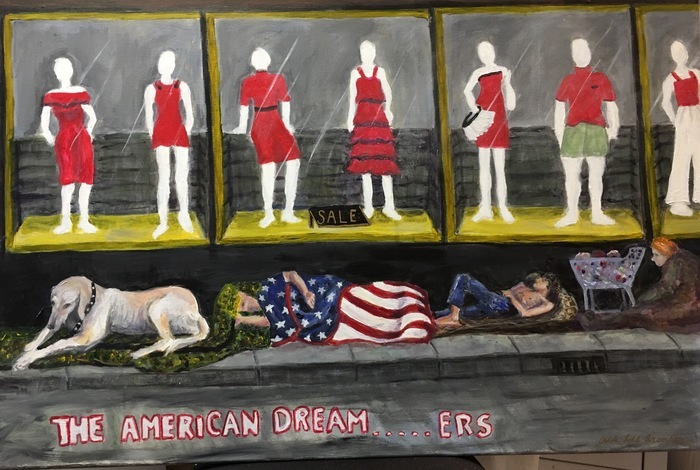 "THE AMERICAN DREAM...ERS" is a acrylic painting, size 24x36" on stretched canvas representing one kind of community separation.